St. Louis Food Blogs: Hello, St. Louis. Meet Your Local Food Bloggers. Meet Your Local Food Bloggers. Food blogs are fascinating online windows into culture, community and yes, great food. 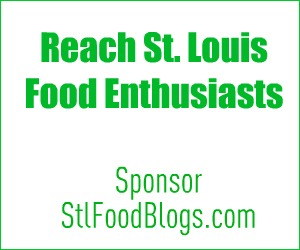 Right here in St. Louis, we have more than three four dozen active food bloggers. What Is a Food Blog? On the surface, food blogs look much like other food sites, magazines and cookbooks. But look closer, they stand apart. Food blogs are extraordinarily personal, even when produced with knowledge and professionalism. They radiate curiosity, excitement and creativity. They often exude rich humor, sweet charm and unedited spontaneity. Food blogs are like memoirs with recipes. Every recipe comes with a backstory woven from family, culture and personal experience. Tales abound of early lessons from mothers and grandmothers, first experiences with fresh figs, strategies for Thanksgiving turkeys, frustration with breads that fall and tomatoes that char. If there’s rant, it’s Reggiano versus Kraft for Parmesan and lard versus butter for pastry, not left versus right for politics. Food bloggers may start blogging with some notion of organizing favorite recipes but we keep blogging because of connection and community. We covet comments from readers and go lengths to lure ‘lurkers’ into conversation. We watch for online food events to cook together. When we bring new babies into the world, we celebrate. When we lose a parent or a job, we console. When we struggle with illness or decision, we encourage. When we meet in person for the first time, we’re already friends. Food blogging is a tight community inhabited by food enthusiasts, both writers and readers, from across the world who speak the universal language of food. Still, like seasonal fruits and vegetables, food blogs are inherently local too. St. Louis is home to a small cadre of food bloggers, our city's contribution to the thousands of food bloggers from all across the world who wake up each day, ready to shop and to cook, to style and to shoot, to write and to post (and that's after our day jobs) -- all to share our enthusiasm about the foods of our days, some times haute, more often humble. St. Louisans, meet your local food bloggers, as much contributors to the St. Louis food scene as our hometown supermarkets, our local growers, our farmers markets, our local restaurants and chefs, our local food media. Hello!! Thank you for the shout out. Greatly appreciated. Hello, St. Louis. Meet Your Local Food Bloggers.